The thuja occidentalis ‘Brabant’, alternatively known as the white cedar ‘Brabant’, is a fast-growing coniferous tree with a compact growth habit. The thuja genus is already a popular choice for hedging purposes, but it deserves to be even more popular. The brown branches carry sprays of aromatic, scale-like leaves. These leaves have a fresh, yellow-green colour and make a lovely, colourful hedge. This evergreen hedging plant has become increasingly popular in recent years, which is largely explained by its excellent growth habit; with an average annual growth rate of approximately 20 to 30 centimetres per year, if grows fast enough to create a good hedge in a few years, but not so fast that you cannot keep up with it. 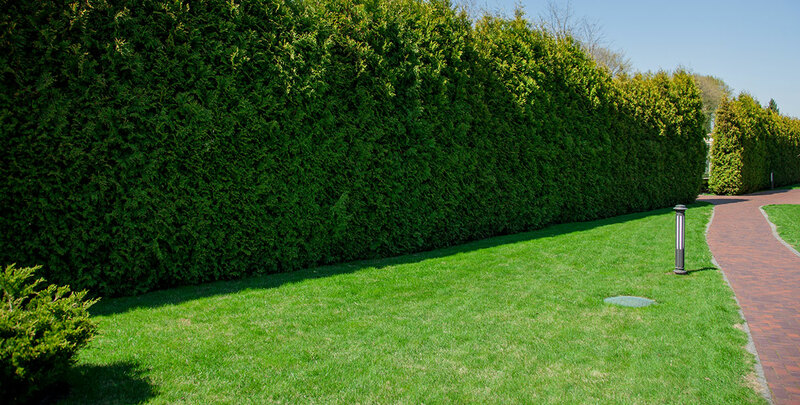 The white cedar ‘Brabant’ has a compact growth habit and is capable of creating a dense wall almost immediately. 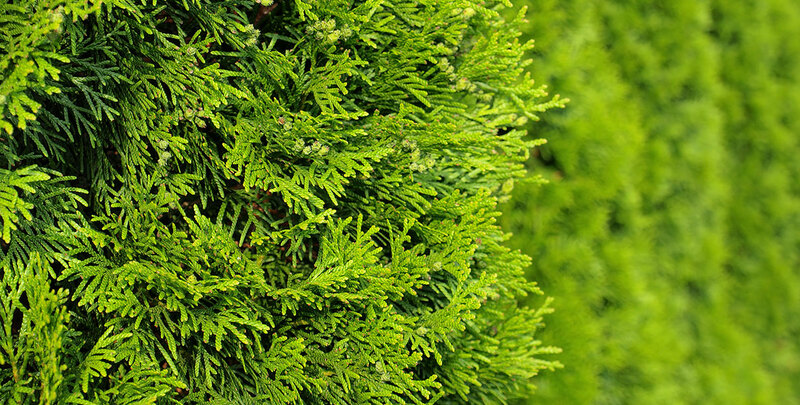 Due to its relatively slow growth rate – by hedging conifer standards, that is – the thuja occidentalis ‘Brabant’ has relatively low maintenance needs. If you are not too keen on pruning, the exceptionally fast growth habit of a Leylandii hedge will probably be too much of an effort. However, if you would like to have a hedge in your garden that somewhat resembles the Leyland cypress in terms of appearance, but without the frequent pruning and the risk of your hedge becoming overgrown and, as a result, irreparably damaged, the white cedar ‘Brabant’ is an excellent choice. The thuja occidentalis is species of conifer, originating from the east coast of North America. This may be somewhat confusing to those of you who understand Latin, as “occidentalis” literally translates to “western”, but its botanical name refers to the fact that it grows in the Western Hemisphere. The species was also the first North American hedging plant that was exported to Europe, although when French explorer Jacques Cartier brought the plant with him on the way back from his third journey to the Canadian east coast, it was not because of its ornamental value. Native Americans recognized the immense medicinal qualities of the white cedar and Cartier decided to take a plant with him in order to cure scurvy among his crew members. A thuja occidentalis infusion was exactly what they needed to heal. Anyone who has ever seen the white cedar knows, however, that it is also simply a beautiful ornamental plant that lends itself very well to hedging. 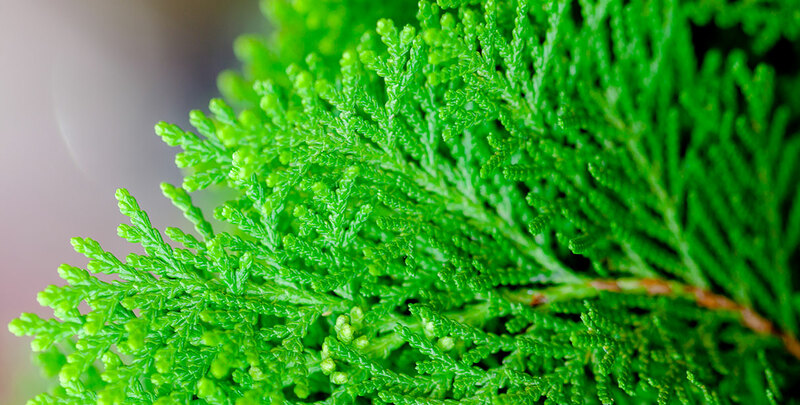 After Cartier brought his plant to the European main land, it did not take long before botanists and garden enthusiasts recognized the ornamental value of the stunning foliage that the thuja occidentalis has to offer. To this day, however, the supposed medicinal qualities of its branches, bark and sap are still referred to in the name “arborvitae”, which translates to “tree of life” and is a name still commonly used to refer to this species in the horticultural trade. Though it is not traditionally the case, you could also consider this name as a reference to the long lifespan of the white cedar, as it can reach an age of well over 1,000 years. The thuja occidentalis ‘Brabant’ is one of the more than 300 white cedar cultivars that have been established after being introduced to gardens all across Europe and the UK almost five centuries ago. 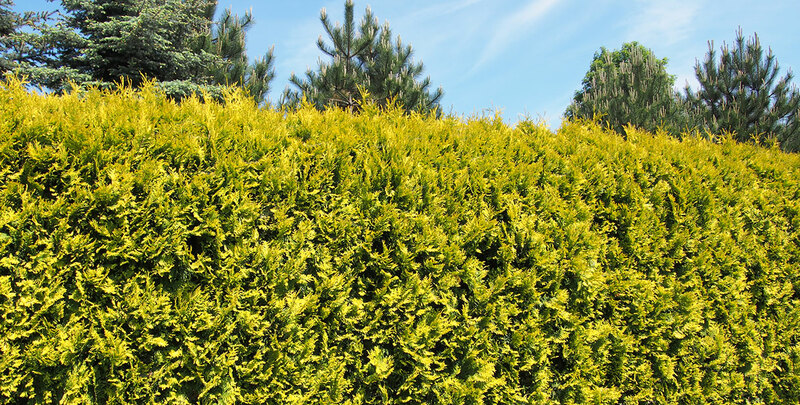 Other than being a great choice for a screening hedge, the thuja occidentalis is a sturdy and undemanding hedging plant, capable of tolerating a vast range of sites, conditions and soils. Despite this tolerant nature, it will greatly benefit from a soil that is rich in organic matter and preferably not too chalky. It is definitely beneficial to enrich the soil with some organic compost or manure, although the consequences will not be too serious if you choose not to do so. This undemanding tree does have a preference for a position in the full sun or partial shade. Waterlogged soils can be detrimental to the white cedar ‘Brabant’ in the long run, but it is required to keep the plants moist until they are fully established. This might take a little longer than with other hedging conifer species, as the white cedar ‘Brabant’ only grows 20 to 30 centimetres per year, but this moderate growth rate is partially compensated by its dense growth habit, which allows the plants to form a screening hedge relatively quickly. The plants will grow wider than tall in the first few years after being planted. As young thuja occidentalis plants require a certain amount of water, dry periods during the first one or two years after planting will inhibit their growth, but this can easily be resolved by some additional watering sessions. If you are looking for a hedge with the relatively formal appearance that is customary among conifers, but do not want to deal with the excessive growth rate of Leyland cypress species or even somewhat slower growing plants as the Lawson cypress, the thuja occidentalis ‘Brabant’ is an excellent cultivar that suits your wishes perfectly. Its dense, fresh green foliage will ensure year-round privacy, while all it requires in terms of maintenance is some light annual pruning. It is a good thing that there still is a life for the white cedar in this day and age, when scurvy is nowhere near as common as it used to be in the days when explorers were searching every part of the Earth for new land, as it is hard to imagine contemporary hedging without the white cedar.